Why every girl should believe she is Flawlessly Made! 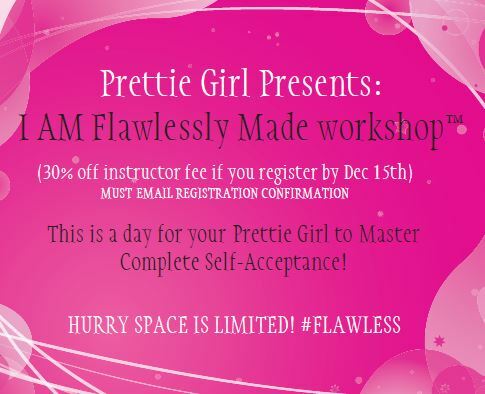 *This is an event where your girl will learn how to love herself, flaws and all. * We have specifically designed activities to help your Prettie Girl realize that what the world calls her flaws are really what makes her unique, original and shine. Instructor and supply fee not due until day of workshop). « Commanding our mornings with I AM.